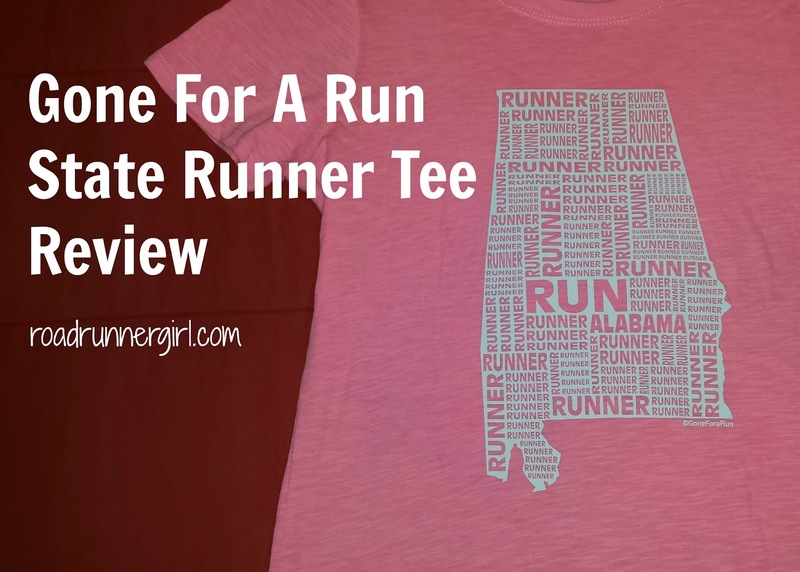 Road Runner Girl: Gone For A Run State Runner Tee Review! Gone For A Run State Runner Tee Review! Disclaimer: As a Gone For A Run Ambassador I received this product free to review. I received no other compensation. All opinions in the post below are mine and mine alone! One of my favorite websites for running gifts is Gone For A Run! They have the best gifts for runners! And all their things are so unique! 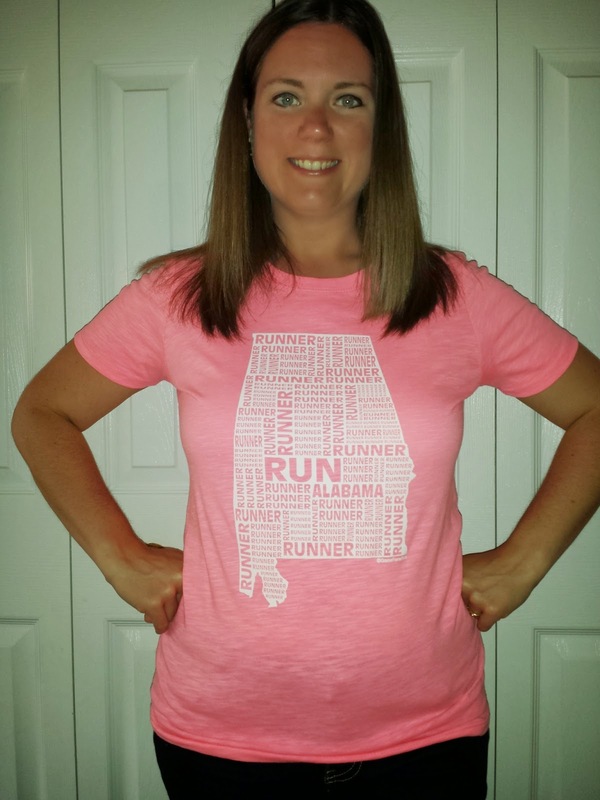 I was super excited to review their Neon Series State Runner Tee for my state of Alabama! I love wearing shirts that show my love for running! And this one is so awesome because it has the words "run, runner, and Alabama" written out in the shape of the state of Alabama! The first thing I noticed about the shirt was how soft it was! It's made of 60% combed cotton and 40% polyester. It's super lightweight and a shirt that I know I will be able to wear in the heat of summer. The fabric is breathable. How about the cut of the shirt? It's a slim women's cut with cap sleeves. It is recommended to size up if you prefer a looser fitted shirt. 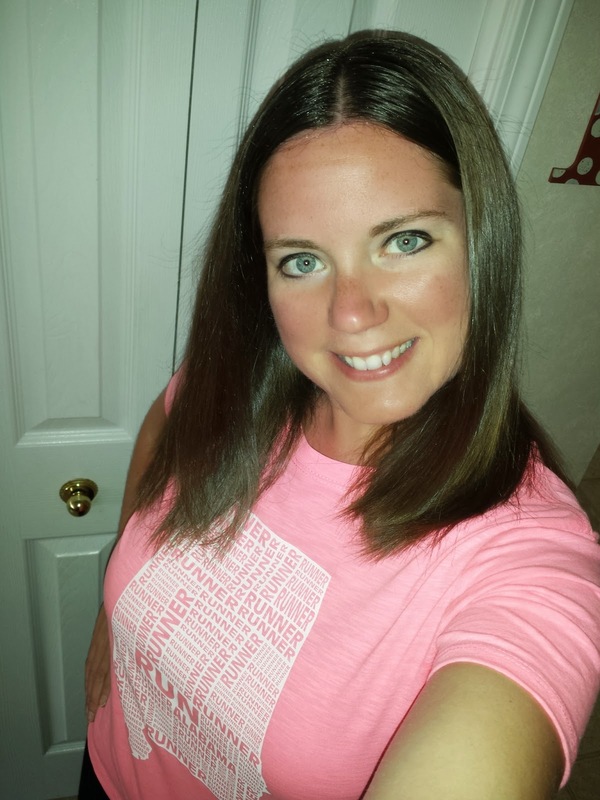 I am normally a size medium and I ordered a large and it fits great! I chose the neon pink color...because I love pink! This shirt comes in other neon colors as well...neon green, neon orange, and neon yellow. If you don't like neon colors there are other colors available too....charcoal gray, hot pink, lush berry, storm indigo, and teal. This shirt is also available as a long sleeve, a sweatshirt, and in mens! And if you want to wear this one to run in you can choose the performance tee! This has become one of my most favorite shirts! I even wore it to the Crescent City Classic 10K Expo and got several compliments! So I know the question you may be asking. Does this shirt come in other states? Of course it does!!! In fact, Gone For A Run has a whole line of running gifts by state that you should check out! No matter what you are looking for I guarantee you can find that perfect gift for the runner in your life from Gone For A Run! (Mother's Day AND Father's Day are coming up!!!) So be sure to check out their website today! Also be sure to follow Gone For A Run on Twitter, Facebook, Pinterest, and Instagram! QOTD: If you wore this shirt what state would you be representing? We Stand With Boston Virtual 5K! Saturday Morning Run Through the Fog! 6 Miles By the Bay! Under Armour Marbella Sunglasses Review! Rock 'n' Fly Half Marathon Recap! 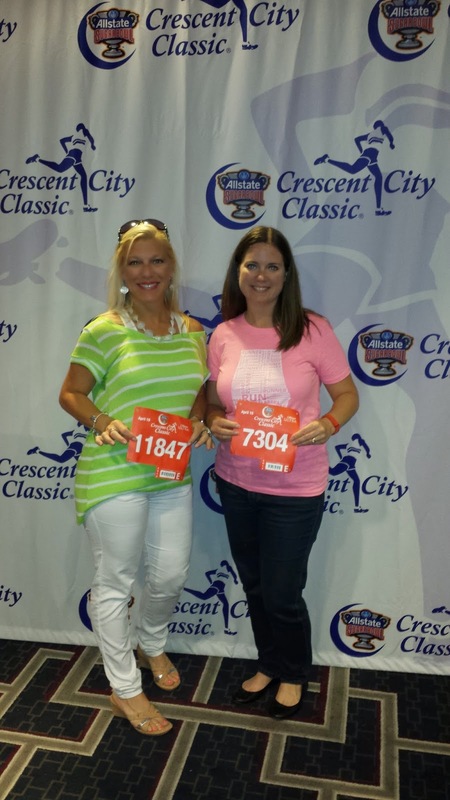 Rock 'n' Fly Half Marathon Packet Pick-Up!